May be the mystery status of the Tree of Life in Bahrain is somewhat exagerated – but this vivid, majestic mesquite tree looks magnificent in the harsh desert. Most members of Prosopis genus are native to America and there have a common name – mesquites. Prosopis cineraria though is native to Asia. These are sturdy, interesting shrubs and trees which are extremely well adapted to dry deserts. Mesquite trees can provide fine food (beans, floor), fragrant and sturdy wood and medicals and above all – they can bring life to desert. The roots of these thorny trees and shrubs host colonies of bacteria that can fix nitrogen. In a such way this plant helps to enrich the desert soil. Prosopis trees have developed many interesting qualities to deal with dry climate and one is – extremely deep root system. Roots of one tree in this genus – Mexican Prosopis juliflora – might go up to 53 m deep! Messenger from the Garden of Eden? Local stories tell that Tree of Life was planted here in 1583 – 429 years ago. Tree miraculously has survived up to this day, it looks healthy and has fresh, green leaves. It grows on a small sand hill and is visible from far away. The tree certainly is lonely – without any other trees in sight, with smaller plants some distance from it. 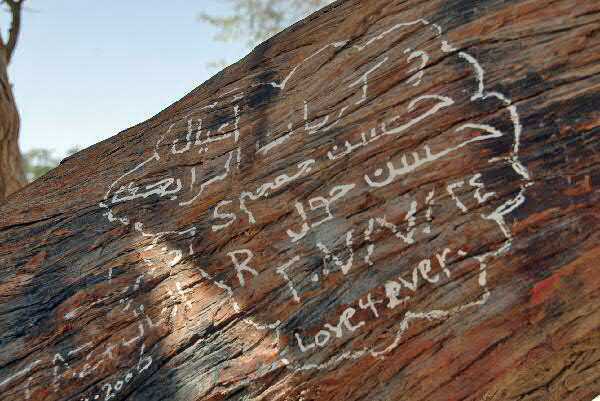 The trunk of mesquite is protected with an intricate fence from wrought iron – unfortunately many people have left graffiti on its trunk. Unfortunately even some tour guides have proposes to make these writings to tourists. This is popular tourist destination with some 50 000 visitors coming here every year. Many locals have attributed mysterious qualities to the Tree of Life. Many consider that it marks the true location of the Garden of Eden and often it is claimed that this is a mystery – where the tree gets water. Closer look at maps shows the situation in a different light. Tree of Life is not entirely lonely. One smaller tree grows some 850 m to the north from the Tree of Life. Nearby are some more trees. 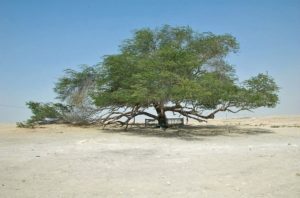 When browsing through the map of Bahrain one can find some more lonely trees. Next – the source of water also is not such a big mystery. The ground, where the tree grows, is just some 9 – 12 m above the sea level and groundwater level in this location is higher than the sea level. Not too far from the tree are seen ponds with water. 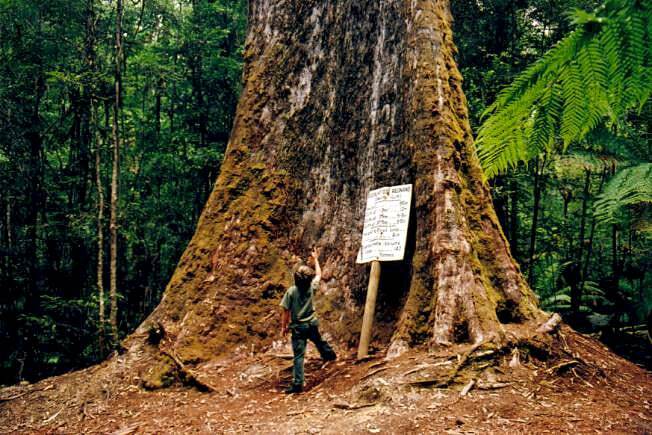 Remember – roots of these trees might go even 53 m deep! The air here often is humid – and mesquite is well adapted to gain the moisture from the air as well. This does not decrease the value of the Tree of Life. 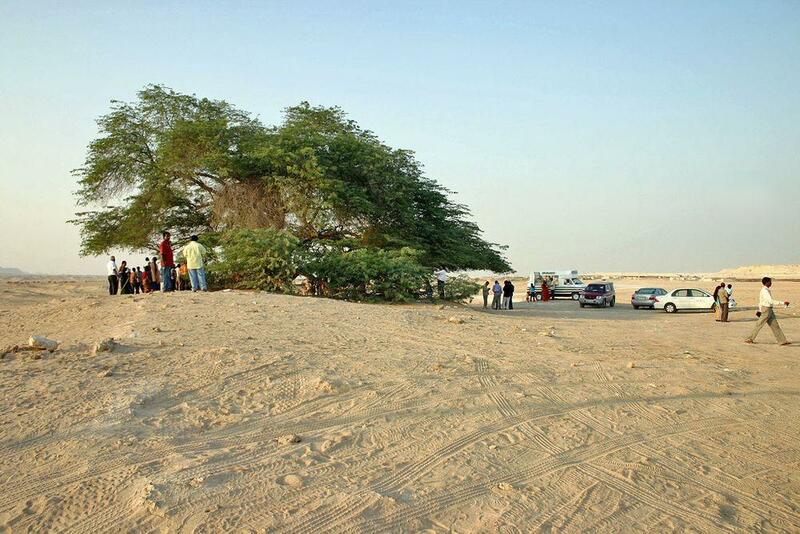 This majestic, old mesquite tree tells a valuable story about a possibility of a better life in Bahrain. First we can look into the past. The ancient Dilmun differed from the present day Bahrain. Back in those times Bahrain was a land rich with water, fields and farms, island had many small streams emanating from powerful springs. Dilmun was a significant exporter of agricultural goods. Throughout the island in the places where today is lifeless desert, can be found traces of ancient agriculture. Today Bahrain is not green anymore. This can be attributed to the rising sea level, which step by step has eliminated freshwater from the island. But humans have some fault at this as well – without intense agriculture, grazing and – urbanization – Bahrain would be a different island. Unfortunately today the scarce groundwater resources in the country are increasingly polluted, the fragile desert ecosystem is literally viped away by the modern development. Tree of Life though shows a way out of dead way. It tells – there are plants, which can grow here. If there would be many more such trees, groundwater level would rise step by step and the water would be cleaner. Instead of the lifeless ground there would form a soil. Today the landscape around the tree is not beautiful – there are fences, oil fields and pipes, military installations. Tree of Life stands amidst all of this as a lonely beakon of hope. The most surprising landmarks in this small island country are the monuments left by a Dilmun culture – prehistoric or ancient culture which sometimes is seen as a civilization. 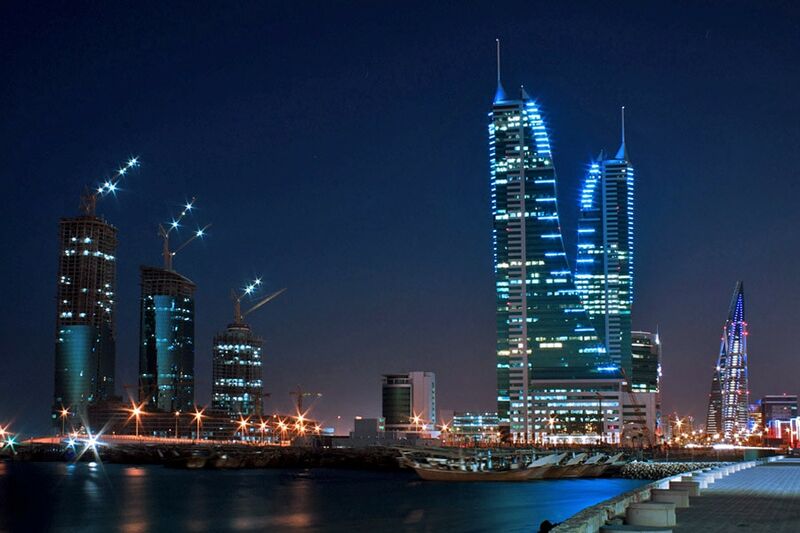 Today Bahrain is fast developing country with very impressive construction projects – such as Bahrain World Trade Center. Category includes some of the most impressive and interesting separate trees of the the world. Total number of tree species in the world still is a wild guess – may be 10,000 and may be 100,000 but most likely somewhere in between. Every month there are reported new tree species from the whole world, including the Western Europe. Harriet Crawford presents a scholarly and up-to-date account of the archaeology of the Arabian Gulf from c. 4500-1500 BC. She offers a new interpretation of the structure of the urban, centralized and probably literate society of the Early Dilmun period (c. 2000-1800 BC) using material from the recently excavated site of Saar on the main Bahrain island.